I love reading Canadian books, but because there are so many other good books out there to read, I feel like I don’t read enough of them. So, here’s my idea to challenge myself to read more Canadian books: I thought it might be fun to read through the alphabet, by author. Moving from A to Z (if there are any Zs- I haven’t checked yet). I thought about reading through a list of prize winners, but it didn’t seem as much fun to always know what was coming up. Hopefully, there will be more surprises this way. 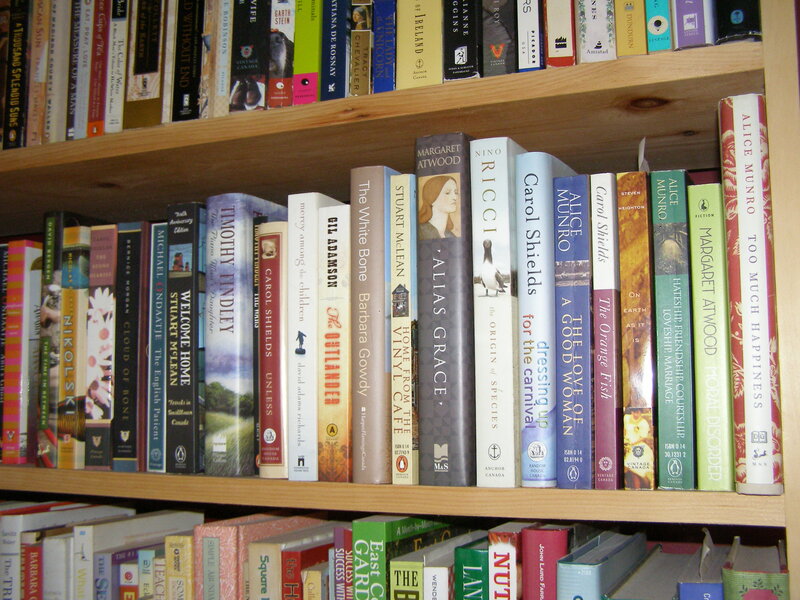 As I read through my Canadian books, I will probably mix it up with other books as well. There are too many good books out there to limit myself to only one country (although a great one!). One important rule to remember is that there are no rules! It’s more fun that way. Now I’m afraid to hit the publish button. Is everyone afraid to do this the first time, or is it just me? So will you start with Atwood? I thought about starting with Atwood, but I’ve already read a lot of her books, so I decided to start with someone who is not as well known. I will probably post something about Atwood, though, at some point. That’s a good idea! I don’t have any other As on my Can Lit shelves, must go look some up. That’s a wonderful reading challenge! I know what you mean about feeling nervous or intimidated. I have a goal to read through various countries as well as the different states in the US. I haven’t “publicly” declared this (i.e., blogged) though, and I think it is largely out of fear. You should let everyone know! I was nervous at first, but so far it’s been lots of fun. And it’s actually made me even more excited to get to my Canadian books! Thanks for the encouragement! I agree it’s fun to get the support and motivation! I love his writing. he is a stellar Canadian author and i think under appreciated. I think so too. I wonder if people are put off by the size of some of his books?